(J) This morning I want to talk about the whole Shulamite complex of websites. We have done a bunch of work to create a place that you can literally go and get all your Shulamite content. But the way it’s gone out, I would have never envisioned this at the beginning of the revamp. 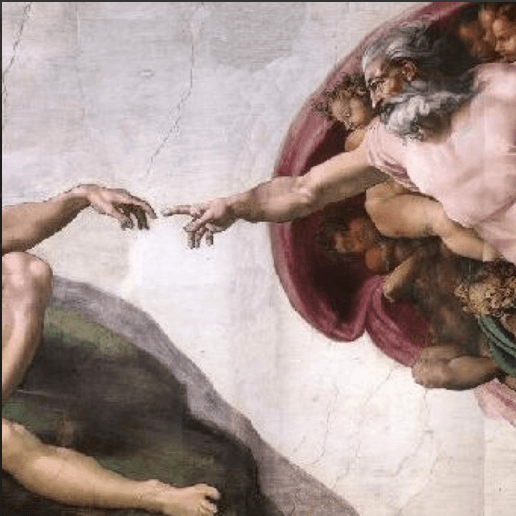 But we basically have a brand new website with getalongwithgod.com for the blog about a God worth knowing. We have a brand new site for Read MK, which is the complete on-line library of Martha Kilpatrick. We have Living Christian Books, which is, livingchristianbooks.com, which is our complete on-line store. And it functions as the location where you purchase all the Shulamite content. 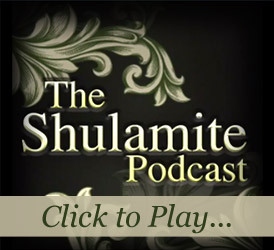 And then we have the shulamitepodcast.com, which is the source for all the podcasts and the transcriptions. And then we’re launching, probably this week, the new Shulamite app, which will incorporate all the content. And so looking back at this whole process, the app was the very first thing that went up, and the old app, we’re at version 1.1, but that app is connected to the old content. Well, we’re meeting today with the web guys, and we’re literally going to completely revamp now the hub of the wheel of all these sites, which will be shulamite.com. And from shualmite.com you’ll be able to access and go to all of these different websites. (M) Shulamite.com will be, you call it the hub? (J) We’re going to literally go to the meeting today and talk to the guys and just kind of hash it out, how it’s gonna function. But if you went to shulamite.com and you wanted a podcast, then you would click on the listen button, and that would take you to the Shulamite podcast site. (Carole) When somebody that’s ordered, always ordered, always come to shulamite.com, and that’s been where they’ve come all this time, so now they go back to shulamite.com, what are they gonna need? (M) It’s gonna be simple, simple, simple. (J) It’s gonna function exactly the same way, it’s just not gonna, it’s just gonna look different. (M) I won’t know, people like me won’t really get it. I’ll just be simple. 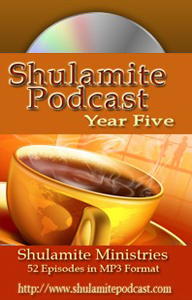 (Jennifer) You can basically tell the podcast, the Shulamite podcast is essentially sold… It covers our cost. That’s it. We really don’t make a profit off any of those. It covers the cost of us putting them on CD’s and John’s time and the supplies. (J) A little more… No, it wasn’t hokey. It was just a little more ‘twangy’. We were, we were a little more ‘green’ so to speak. And the podcast’s now, I really feel like they’ve, they feel very, very professional. I mean, though it’s conversational, though it’s very free-flow, I feel like they are relatively professional. And so, back then they weren’t as professional, but they were fun, and the content is there. And you know, like if you wanted to go to ReadMK, and you were really looking for content on warfare, and there’s an amazing series of articles called “Waging War.” Well, you’re actually on that now, and you can literally go to the “Waging War,” and you could type that into the search in ReadMK, and boom, there it would be. (M) But then you get it from… Can you get from Living Books to say podcasts? Can you go from one to the other on the backside? (Jennifer) Living Christian Books actually has down at the bottom the links to all the different websites. So that’s built in to Living Christian Books. It will be built in, of course, to shulamite.com. 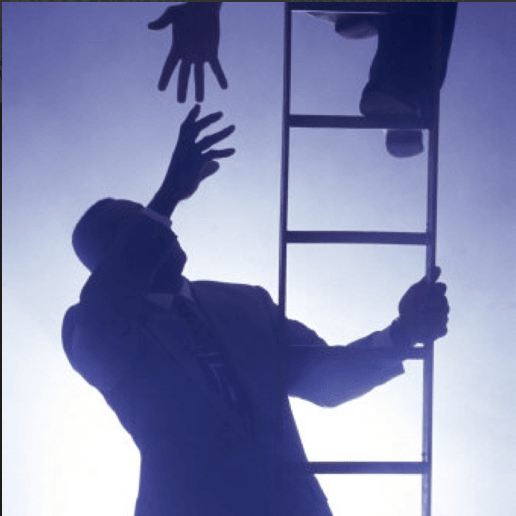 The blog, we have a side bar. (J) Basically all of them have all the different sites there. They’re just in different places. Like on the Shulamite podcast site, it’s right down on the side bar. 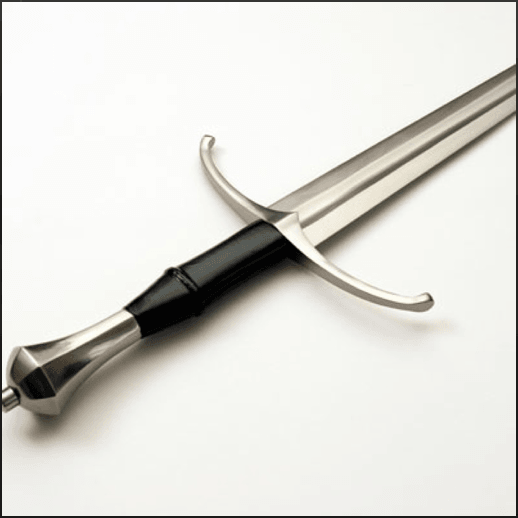 You have the shulamite.com, you have the ReadMIK, the blog, and Living Christian. They’re right there. And you know, all of them, it’s accessible, all of them are equally accessible. (Carole) A question you may not want put on this, but I was perusing all this the other day. And so where it had, I think the Kindle, so I pressed Kindle. It takes me to Amazon.com, ok? It totally confused me, and then it said I could borrow the book as a Prime member. Are you serious? I can borrow that book as a Prime member? (J) Yeah, you can basically, we’ve made it available because we have made it exclusive to Kindle. At first when we first released the booklets on digital format, we had iBookstore and we had the Kindle store. When we went and we just found that Kindle was just such an easier, more user-friendly, the experience is just a lot better, so we isolated all of the content, and we made it exclusively Kindle. And when we make it exclusively Kindle, and someone asked me this just the other day. They said, “Well, I don’t have a Kindle. Well, you can have a Kindle app on your iPhone, iPod, or iPod touch. You can have on your Windows computer or your Mac computer, you can have the Kindle application, the software. So you can read it on any device really. And it’s free. All the, yeah, and see nobody knew that either, and that’s my fault, I’m sorry. (J) Yeah, Kindle, you could read any of the kindle books. (Carole) I couldn’t figure out how to do it. I wanted to check it out and see what it was about. (M) So what about all my Kindle books, which I’ve got dozens? (J) You would download it. So you’ve got a Mac. So you would go to, ah, actually you can… You could actually go the two newest books that are only available on Kindle, which is “Surprised By God”, or “Secret Of Fullness,” and there are links right there, how to download to your Mac the software that you could read all your Kindle books, all your Kindle books, the ones that you currently have. So if you’re Mac, or you’re Windows, or you’re, you know, whatever you are, it doesn’t matter, you can get an app and read it. I love that face. (Jacquelyn) Is it in iTunes? (J) Ok, so what we did with iTunes is the iBook store used to house all the booklets and books, but we took it out of there and so that’s why it’s no longer available on iTunes. But what is available on iTunes is all the podcasts. So you can go and subscribe to the podcasts and you can get that in iTunes. But as far as the books, no, they’re only available on Amazon. (Jennifer) Well, and the trade-off was wonderful with Amazon. They give an enormous amount of free marketing and all sorts of, you know, campaign deals, which is great for independent publishers or people who are, you know, not Whittaker House, Random House, Houghton Mifflin and all the rest of them. So what we found was that you could actually find Martha’s stuff. And Amazon has been brilliant at this and you know, it’s the reason they’ve basically taken over on book sales, because it’s so searchable. They have so categorized. It’s so easy to find things. And what we found with the iBook store was, unlike iTunes for the music, you couldn’t easily find anything in the iTunes bookstore. And so, it was very frustrating for us, because we, Martha’s stuff just ‘got lost’ in the iBook store. And if John and I, who actually know what we’re looking for, and what we’re going through, were having difficulty finding it, it was never gonna show up on somebody who was just searching general terms. We were buried. So, that’s why we went with that. Plus there were bonuses to people, and Amazon has been very good in terms of working with us as an affiliate program. (Carole) With all the furniture, and relax, sit down and enjoy. Oh yeah… Thanks for the banquete “ya’ll”! !